Since we have our beautiful craft room all set up (we mention it in our latest Vlog), I've been way more inspired to use our sewing machine a little more often. It always used to be quite a hassle getting it out of the cupboard, getting an extension cable (our dining table didn't have a socket nearby), connecting the cables, getting the fabrics from another box, etc... Some people might be fine with that, but since I'm a tiny little bit (hugely) lazy, I ended up not using it very much. Since we moved to our new apartment, we discovered the doors all have a bit of a mind of their own! Our living room door needs to stay open a little bit so that our little Poppy can always go to the kitchen to drink her water, even when we're not home. The door keeps closing completely by itself, so we were in desperate need of a doorstop. I was already eyeballing some in the DIY store, some plain stainless steel ones, but then I thought to myself: Dennis, you're a crafter! Why would you settle for such a boring thing? Get your act together, and make your own! In my head it had to be an animal, so I went on YouTube to look for a fun tutorial. 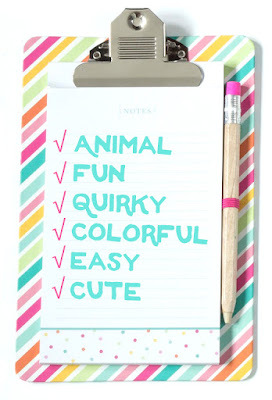 The first one that popped up, ticked all the boxes for me! It was an animal (a Chicken), it's fun (triangle chickens are fun! 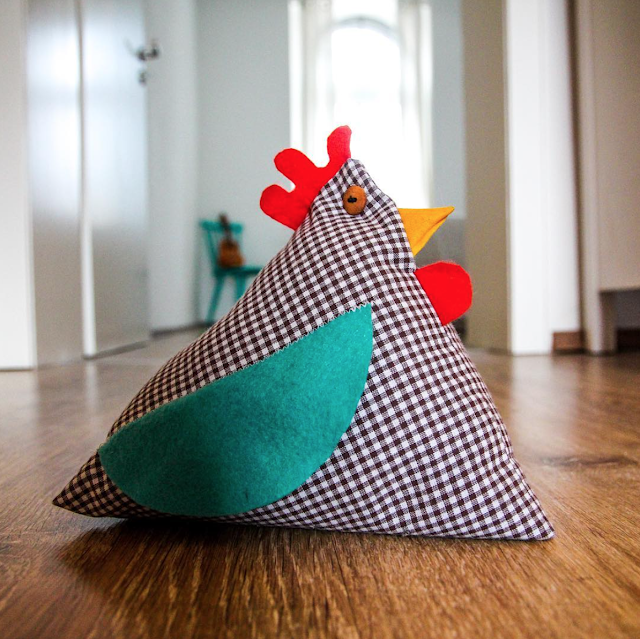 ), quirky (triangle chickens are quirky! ), colourful (at least mine were gonna be! 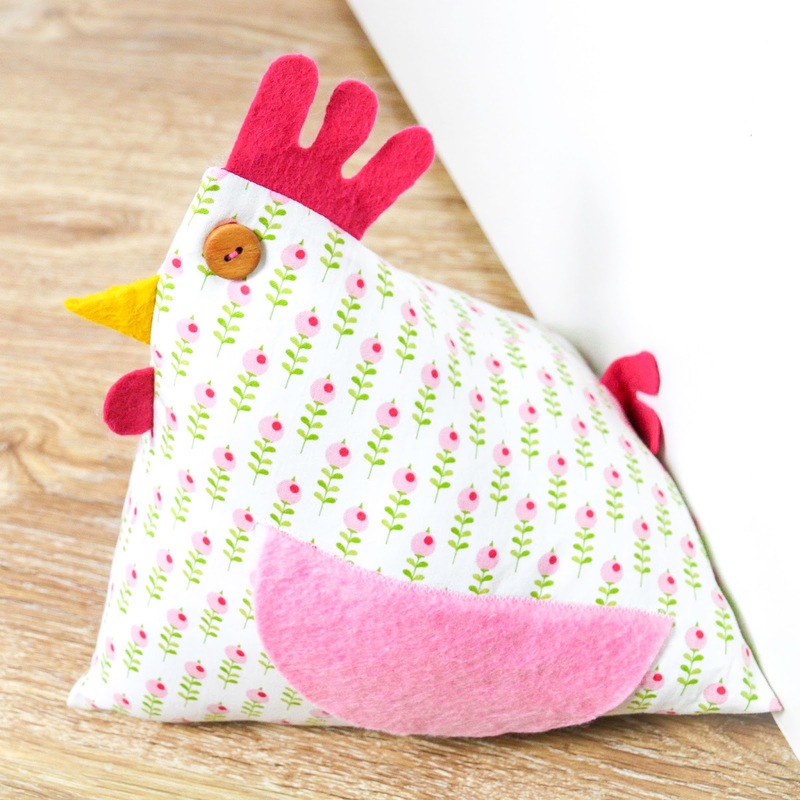 ), easy (don't want to be sewing all day), cute (chickens are cute! especially triangle ones). The video tutorial was very easy to follow! 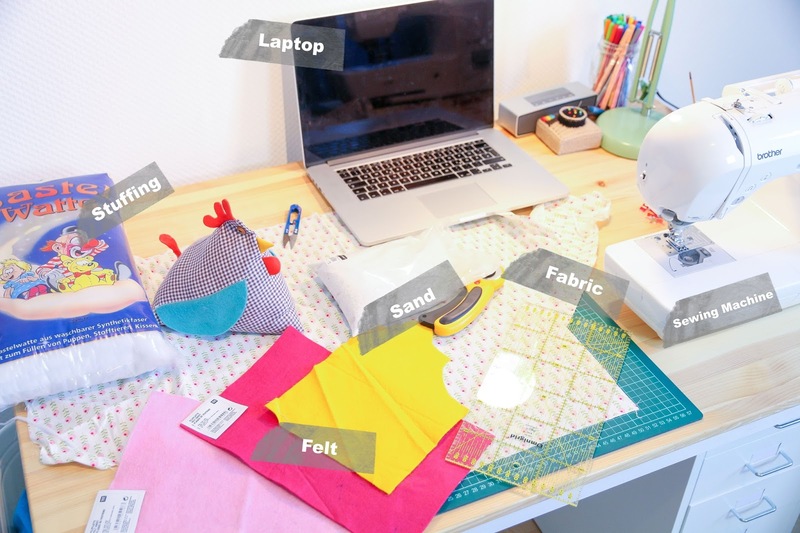 She explains very well what she did and it really got me excited to start sewing! I didn't need to do much preparing having a craft room and all ;-). The sewing machine was already there, the cutting mat permanently on the table, fabrics in a clear box right behind me, I was almost ready to start! The only things I still needed were something to stuff the chicken with: Stuffing and something heavy. I decided to just get some decorational sand because it would be easy to fill the doorstop with! Nothing too fine, since I don't want it to eventually come through the stitches! Our local craft store sold everything I needed, which meant it was a quick trip back and forth, so I could start sewing! To spice things up a little bit, I decided to film myself whilst making this! Why don't you have a look? Here's an overview of all the things I needed, ready to be turned into my doorstop! You can also see the first one I made! I didn't take pictures the first time, so this blog post features pictures of the second time I made one! The main things you need to make the body of the chicken are 2 squares of fabric! I didn't measure these, I just made sure they were both the same size, and perfectly square! Isn't the fabric lovely? I really hesitated using it, since it's my favourite fabric, and it's not being sold anymore I believe. I only had a tiny bit left, but I think it was totally worth it! I chose to use "felt" for the features, as it's so easy to work with. You just cut it to size, without having to worry about fraying! You need 2 wings, a beak, 2 combs, and a piece for under the beak! Since the whole piece is sewn inside out, you need to point all the features to the inside which looks a little bit weird of course! Of course it will all look perfectly in place at the end! Once it's all sewn, and turned right side out, you've got yourself a chicken!!!! Oh wait, no, you don't really... you've got yourself a very sad bunch of nothing. This is where the major amount of stuffing comes in! I left a hole of about 5 centimetres, just big enough to get the toy stuffing in there! I made sure to fill all the corners as good as I could, and also a fair bit in the body. At this point I wanted to add the sand! I used a funnel to get the sand in! This was a lot less messy than trying to do it by hand. It helps to move the funnel around quite a bit to get the sand spread out! I was aiming mostly at the bottom of the chicken since that's where the heaviest point needed to be. Once it was perfectly stuffed, all that was left to do was close up the opening! I decided to hand stitch it, since the piece had become to thick and heavy to try and fit under the sewing machine. Also, hand stitching creates a neat and invisible join. I always try to prevent having to stitch anything by hand, but with this small opening, it only took about 2 minutes to finish the job! It's always such a great feeling to finish a project! 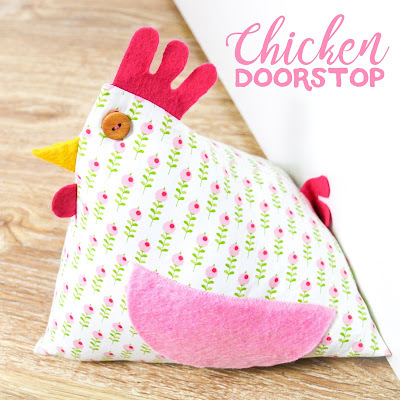 From a couple of pieces of fabric and felt, to a fully functional, cute and adorable, chicken doorstop. It was so much fun making these 2 doorstops! If you want to make your own and you have some questions, don't hesitate to ask me in the comments below! I love it!! Think I'm gonna make a couple for the bedrooms. We now have boring steel ones! Go for it! 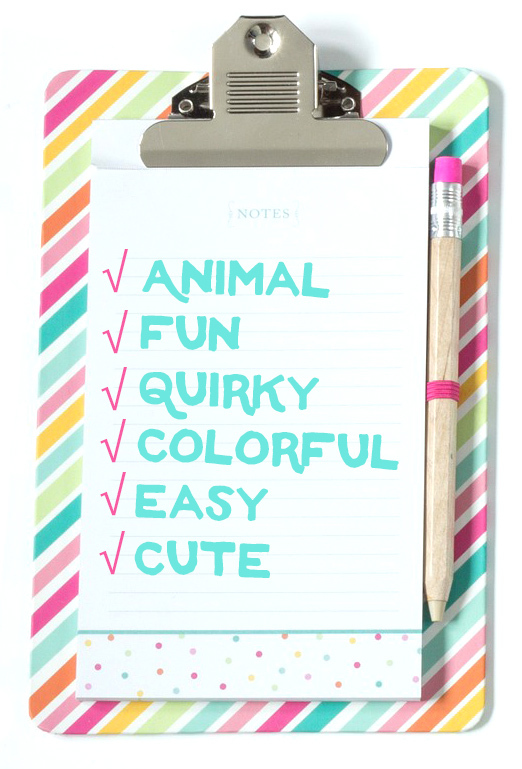 You can choose pretty much any fabric for this! They're so quick and fun to make! If you prepare all the pieces for multiple ones, you sew them all after each other and should be done in no time at all!!! I love is chicken! I have seen crocheted doorstops and even though they are cute, this would be faster!Thanks so much for sharing this idea. Thank you so much!!!! It's definitely really fast to make!!! I haven't done any machine sewing in years.... If only I had a door that needed stopping!